Unleash the Dragon is the debut solo studio album by American R&B singer Sisqó of Dru Hill, released on November 30, 1999 on Def Soul. Sisqó recorded the album during Dru Hill's hiatus. It includes the hit songs "Got to Get It", "Incomplete", and "Thong Song". First, Sisqo had been a lead singer of the group Dru Hill, releasing two multi-platinum albums to date: Dru Hill (1996) and Enter the Dru (1998). In 2003, the album was certified sextuple platinum by the Recording Industry Association of America (RIAA) for shipping six million copies in North America. 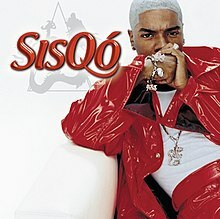 The album also garnered Sisqó two American Music Award nominations for Favorite Soul/R&B Album and Favorite Soul/R&B Male Artist. In addition he received three nominations including Best New Artist and Best R&B Album at the 43rd Grammy Awards in 2001. Information is taken from the album liner notes and Discogs.com except where noted. Re-Sung Lyrics from "Hail Mary" performed by Makaveli (aka 2Pac). Replayed violin sample from "Eleanor Rigby" performed by Wes Montgomery. Originally performed by Adam Pascal & Heather Headley from Broadway musical "Aida"
^ "Les Albums Or". infodisc.fr. SNEP. Archived from the original on 2011-10-18. Retrieved 2011-08-31. ^ "French album certifications – Sisqo – Unleash the Dragon" (in French). Syndicat National de l'Édition Phonographique. This page was last edited on 3 April 2019, at 03:24 (UTC).